We are looking for women from Berlin, who are mothers themselves and/or are familiar with the topics of pregnancy and birth. a contact person is available to you and the refugee woman for telephone and personal counseling. 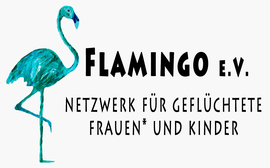 or have any questions, write us a mail at mail(at)flamingo-berlin.org or a message via the contact form. We can answer questions, invite you to an initial conversation and arrange a first meeting with a refugee mother. After getting to know each other, both sides can decide if they want to stay in touch. In addition, an online guide will be set up on this page which provides an overview of all relevant information concerning refugee mothers, pregnancy and birth.